Sliding Doors is pleased to be working with esteemed Ibiza venue, Tantra. Its the best place to start your night out, with great cocktails, tasteful decor and top notch DJs playing each week throughout summer. 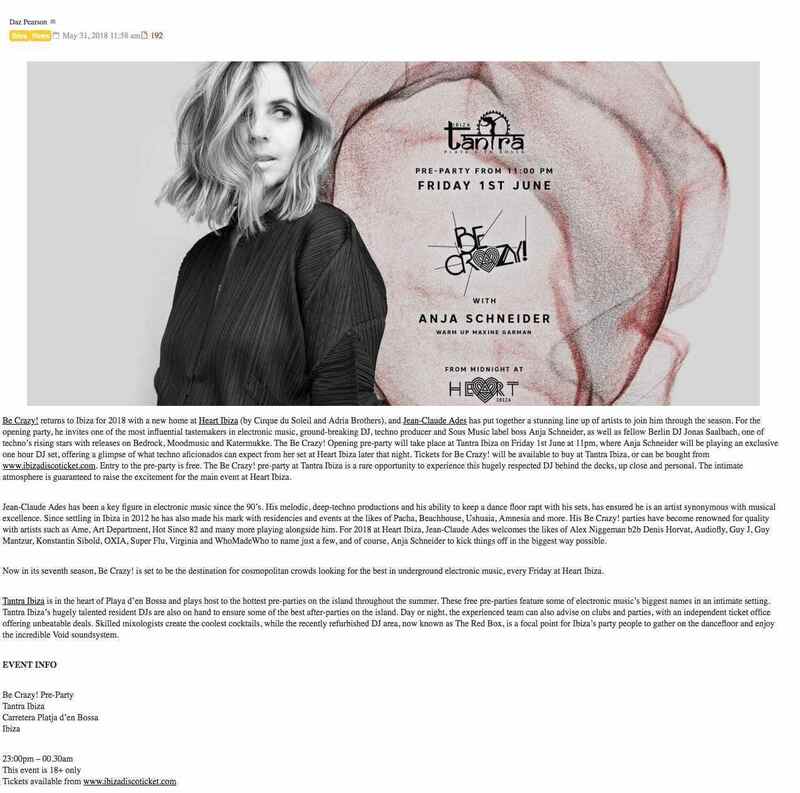 The season kicked off on June 1st with Mobilee label boss Anja Schneider, a long time house and techno DJ, producer and label head who brings fresh perspectives each time she plays. For more details on Tantra, head to their client page.